In November 2005, the married couple visited a friend in Salt Lake and decided that they wanted to open a record store here in Zion. Shortly after, the Brozeks were offered a chance to buy the inventory from Stinkweeds, their favorite record store in Tempe, AZ. On July 22, 2006 Slowtrain opened its doors for business on the then-quiet 300 South. “We couldn’t have done it without her [Kimber Lanning, former owner of Stinkweeds] or her inventory. We would have been floundering,” Anna says. Over the past few years many independently owned Salt Lake record stores have closed their doors. Digital music is on the rise and the small mom-and-pop shops just can’t seem to compete with the likes of FYE, Best Buy and other corporate giants. Luckily, Slowtrain has flourished in its first year, and it doesn’t look like they’ll be closing their doors anytime soon. “I think the difference between us and other record stores is that we’re here all the time, we’re here a ridiculous amount of time, seven days a week,” Anna says. “We know all of our customers, we know what they want to listen to and when new releases come out we know who wants it.” Anna has a day job as an office manager at the Junior League of Salt Lake while Chris spends his days at the store. Slowtrain has two other part-time employees, one of whom works one night a week and the other who works Saturday morning every other week. The store manages to pay for itself while Anna’s income helps pay for “rent, car insurance and booze,” she says. The couple have one-on-one contact with their customers, and they wouldn’t have it any other way. “It’s not going to make us rich, so if we’re breaking even and we’re never here then it’s worthless,” says Chris. “I wouldn’t know what to do with extra time if we didn’t work here,” agrees Anna. Over the past year Slowtrain has become an integral part of Gallery Stroll and the lives of local musicians. The store boasts a diverse section of local music. Cds and records of all genres are sold on consignment with artists taking the large majority of the commission. 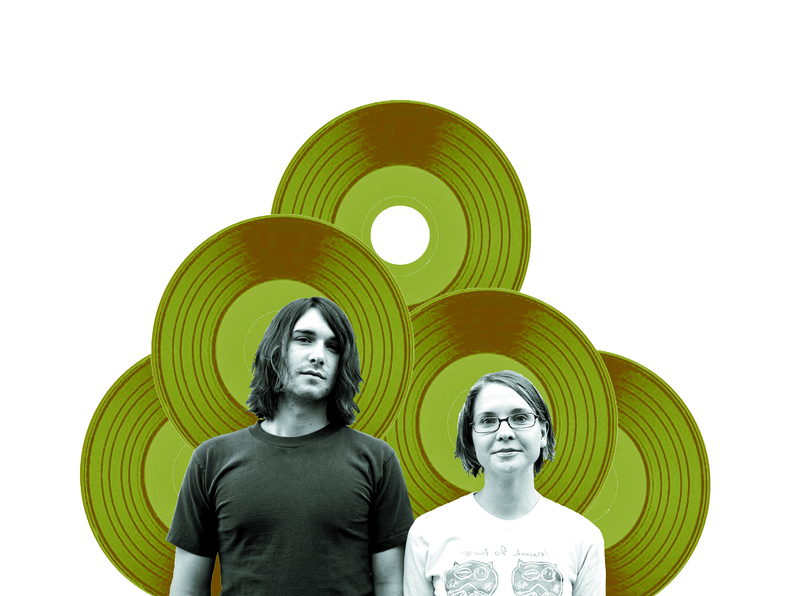 The record store sells tickets to most Kilby Court and Urban Lounge shows and was voted Best Ticket Outlet by City Weekly in the 2007 Best of Utah issue. Slowtrain also serves as a venue space for many local bands. “We usually have bands that support us [play]. It’s our way of letting these bands get exposure. A lot of them don’t [normally] play all-ages shows,” says Chris. The quaint record store became a frequent Gallery Stroll stop with the help of poster artist and printmakers Erin and Nick Potter. Slowtrain has also featured the artwork of Mary Toscano, Tim Odlin, Dan Christofferson and many others. Every month the store is stocked with homemade pastries and cheese platters from Erin Potter’s mother. The compilation will feature four different covers by local artists Nick and Erin Potter, Mary Toscano, Sumer Bivens and Sarah Martin. Around the Bend will feature roughly 80 minutes of exclusive tracks from bands like Taught Me, Calico, Band of Annuals and many others, all handpicked by Chris and Anna. “We just wanted to give back to the bands that have been supporting us. We wanted to give an outlet to bands who might not make it onto Death By Salt,” says Anna. 1,000 copies of Around the Bend will be released, and the couple hopes to press at least 100 on vinyl if monetary constraints allow. 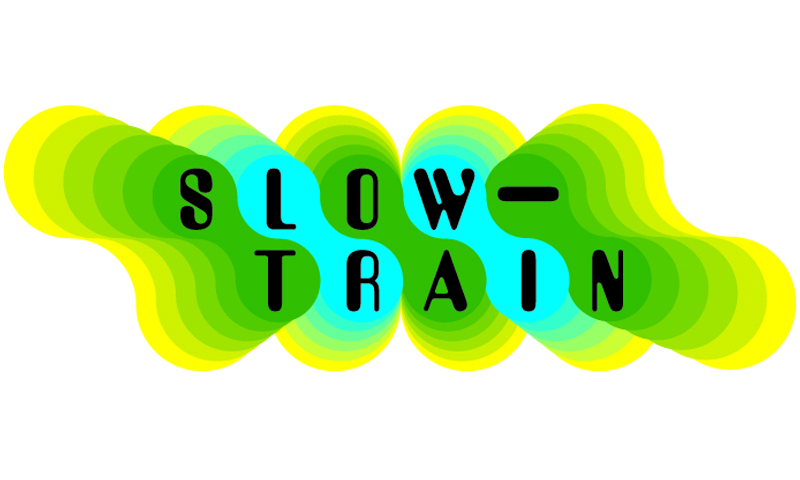 Slowtrain’s anniversary party (which techincally spans two days) should be just as mind-blowing. On Friday, July 20, there will be a screen-printing party at the record store as part of Gallery Stroll. Two new Slowtrain t-shirt designs will be available to be screen printed on whatever patrons bring in. On Saturday, July 21, Chris and Anna will be hosting a party from noon to 10 P.M. that will feature eight live bands: The Lionelle, Palimino, Band of Annuals, Glinting Gems, Cub Country, Ben Kilborne, The Vile Blue Shades and one more band TBA. There will be food, raffles in between sets and delicious food. When asked about their plans for the future Chris replies with a smile, “Another year.” Anna laughs as she says to her husband, “We didn’t really think that far ahead, did we?” The couple has a few ideas in mind, though; another compilation may be in the works as well as a small Salt Lake music festival. “The next goal would be finding a place where we can all go after the rent gets ridiculous,” jokes Chris. Be sure to check out Slowtrain’s one-year anniversary party on Saturday, July 21. In the meantime, stop by the store and buy some sweet records from clerks who will remember your name.